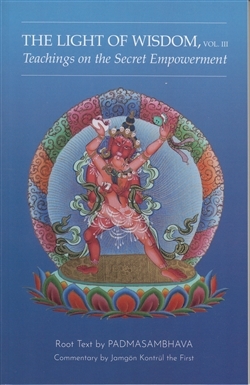 This final public section of The Light of Wisdom, Volume III, Teachings on the Secret Empowerment is once again a compilation of three texts: (1) Lamrim Yeshe Nyingpo (The Gradual Path of the Wisdom Essence), a terma root text recorded by Yeshe Tsogyal and revealed in unison by Chokgyur Lingpa and Jamyang Khyentse Wangpo; (2) The Light of Wisdom, a commentary on the Lamrim Yeshe Nyingpo by the Jamgön Kongtrül the First; and (3) Entering the Path of Wisdom, notes on these teachings collected by Jokyab Rinpoche. 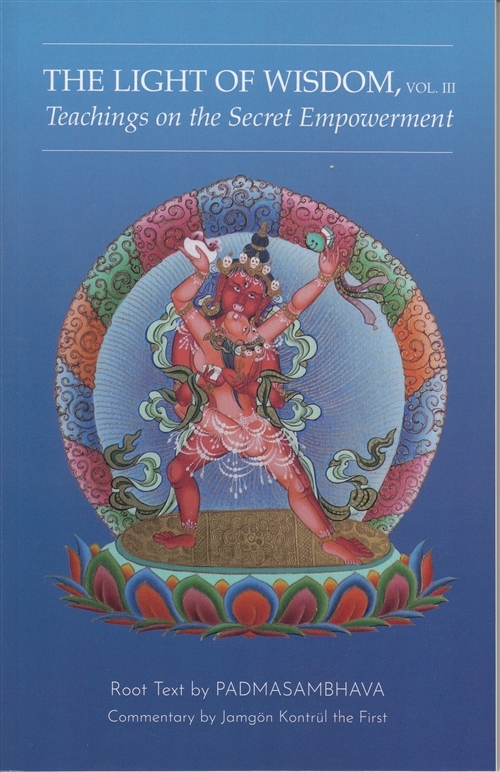 These teachings on tsa lung practice— channels, wind energies, and essences (bindus)—are kept secret, as indicated by the name of the empowerment that authorizes the practitioner to engage in these trainings. After reviewing the material and discussing it with one of my teachers, both of us fully aware of the constraints, I felt it best to share this volume with sincere Western practitioners who will need and benefit from these teachings.